Daniel was friendly and hooked us up with a very good flamenco show inside a cave. Thanks Daniel! The apartment was preatty awsome! Great location, and easy to get arround. excellent communication from staff pre-arrival. it was easter weekend so a lot of road closures etc. they emailed ahead and called me to make sure we were aware and could plan ahead. no reception on site as apartments but key pick up was seamless. location couldn't be better really. This place is right on the heart of Albaicin, very charming ancient village with fresh atmosphere. It’s near Alhambra that we can take bus or walk to the palace. The appartment is sufficient with all facilities, make us feel very comfortable during 2 days staying at there. The host is very helpful and quick response to all of our concerns. Highly recommend! Very good location, close to everything and charmy street. 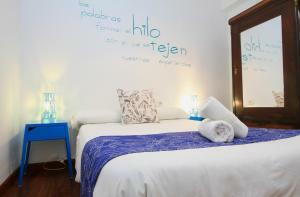 Lock in a great price for Paseo de los Tristes – rated 8.9 by recent guests! Paseo de los Tristes This rating is a reflection of how the property compares to the industry standard when it comes to price, facilities and services available. It's based on a self-evaluation by the property. Use this rating to help choose your stay! One of our best sellers in Granada! The Paseo de los Tristes Apartments are located in the historic center of Granada, a 20-minute walk from the Alhambra. 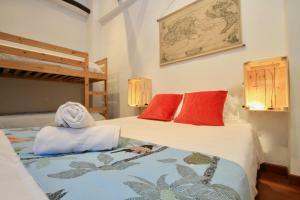 Each air-conditioned apartment offers LCD TV and free Wi-Fi internet. The spacious Paseo de los Tristes apartments feature wooden floors and functional design. They all include a kitchen area with a fridge, microwave and kitchenware. 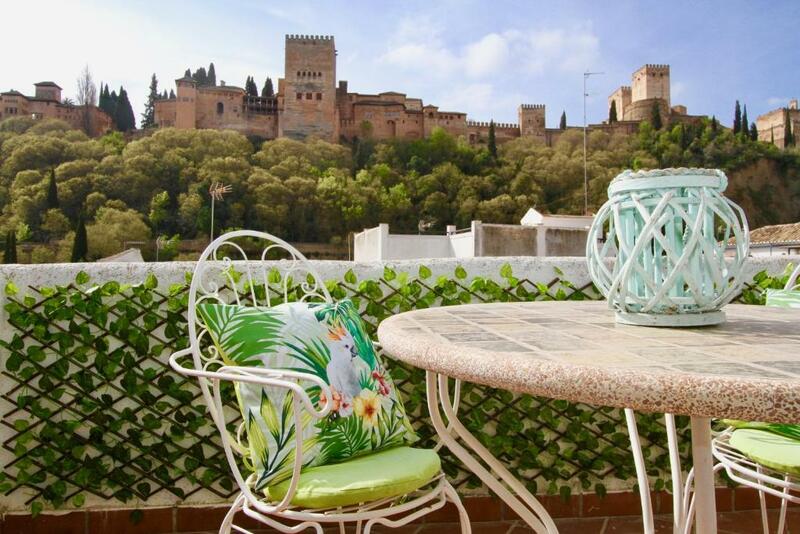 The penthouse apartment also has a terrace with views of the Alhambra. The Paseo Tristes Apartments are set 1,650 feet from the Generalife and 0.6 mi from Granada Cathedral. The apartments are next to Paseo de los Tristes, a wide avenue lined with traditional tapas bars, restaurants and pavement cafés. 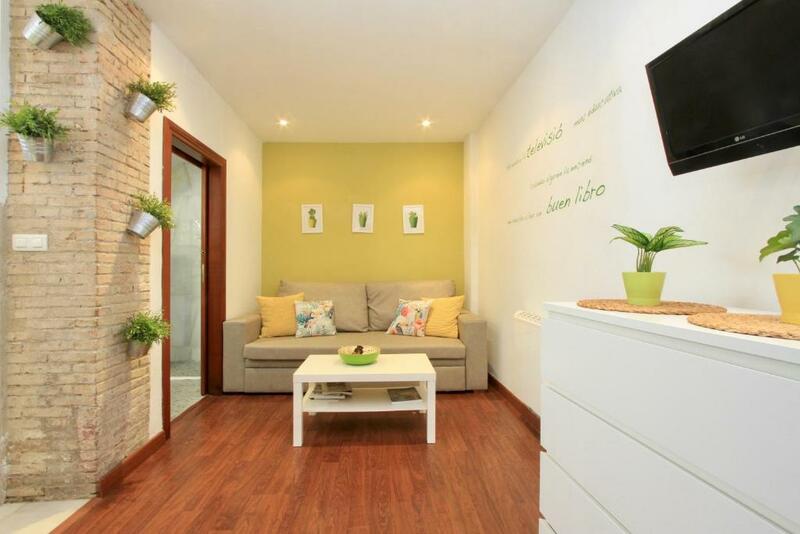 뀐 Located in the top-rated area in Granada, this property has an excellent location score of 9.5! When would you like to stay at Paseo de los Tristes? This spacious penthouse includes a private sun terrace and a spa bath. 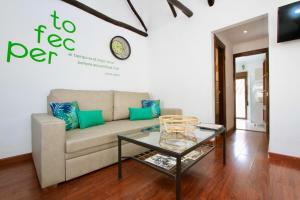 Air-conditioned apartments with free Wi-Fi and modern decor. There is a lounge with 1 or 2 sofa beds, plasma TV and a dining table and a kitchen with ceramic hob, toaster and coffee maker. Towels and sheets are provided. This apartment has a electric kettle, toaster and sofa. Apartamentos Paseo de los Tristes están situados en un céntrico complejo recién rehabilitado, convirtiéndose en apartamentos de estilo típicamente granadino en el centro histórico de la ciudad, situados a los pies de la Alhambra. 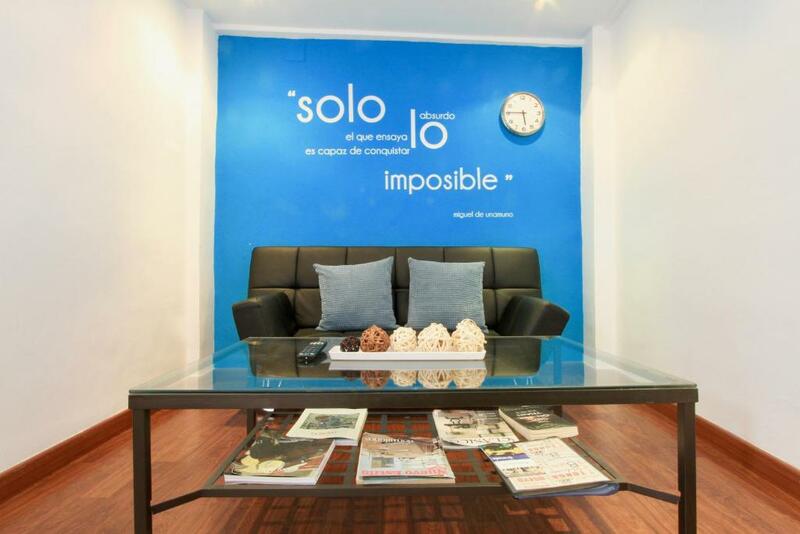 El equipo de Granada Inside estará encantado de recibir a los clientes y ayudarle en todo lo que necesitan para que disfruten de una estancia inolvidable en Granada. 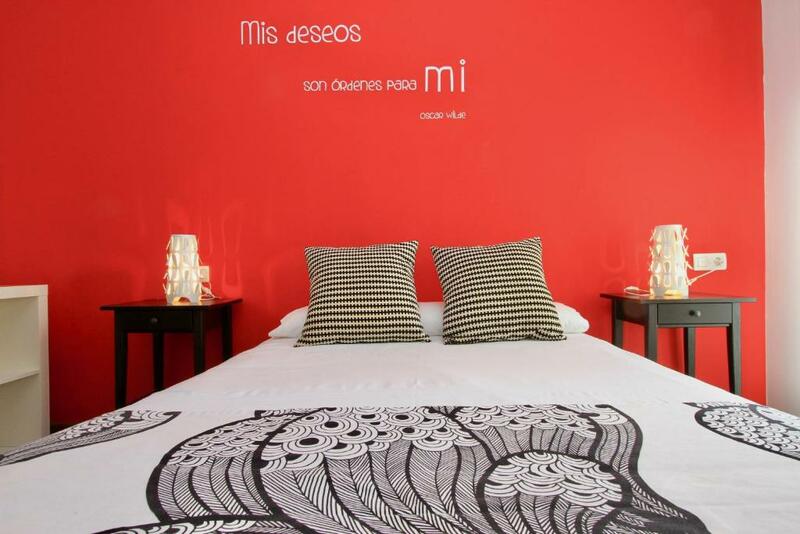 House Rules Paseo de los Tristes takes special requests – add in the next step! Paseo de los Tristes accepts these cards and reserves the right to temporarily hold an amount prior to arrival. Guests are kindly requested to contact the property 20 minutes before arrival. Contact details can be found on the booking confirmation. Please note that the public car park for which the apartments offer discounts is 0.7 mi from the apartments. Please inform Paseo de los Tristes of your expected arrival time in advance. You can use the Special Requests box when booking, or contact the property directly using the contact details in your confirmation. The bathroom layout was appallingly bad! You had to sit side-saddle on the toilet because there was no knee room. The shower was on the side of the bath rather than at the head, so the water went over the top of the shower screen all over the floor. The soap dispenser leaked all over the floor. The apartment was super-clean and comfy. a few scuffs and no towel hooks or robe hooks in bathrooms. Very small shower, and water was coming out on the floor when taking shower. Strange smell coming from the hall outside (not inside apartment). The beds (incuding the pillow) were really very uncomfortable; we didn't sleep well. The parking that was recommedated turned out to be full, the second was terribly narrow to park your car. 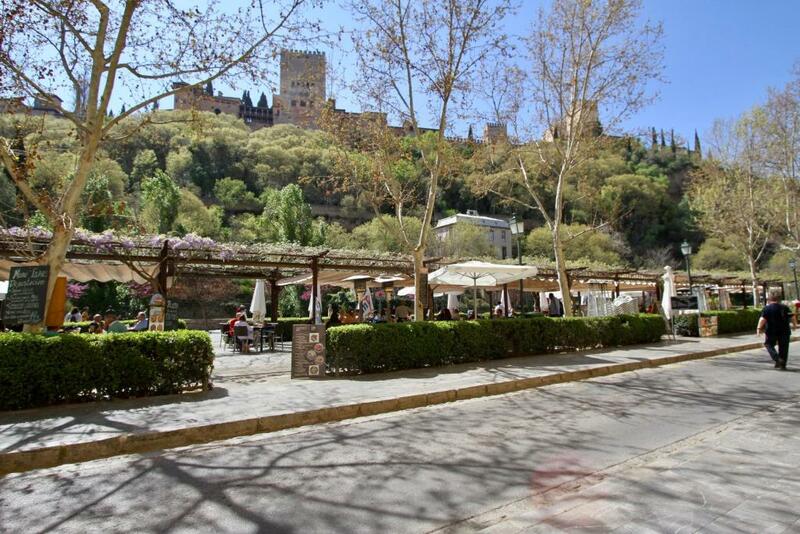 Location was perfect; very close to the Alhambra and in the historical part of the city. Very close to tapas bars and terraces. Kitchenette OK, bathroom OK. The staff was kind and accurate. We were advised to park the car in a parking lot but it appeared that it Was full. We had to go to a second one a little bit further. It was a nightmare to manage to park there because it was very narrow. We had to walk 10mn with our luggages to pick the keys up and an other 15mn Still with thé luggage to finally Reach the apartment. Beds not very confortable. The situation and the view from the terracce. Bedroom too crowded by big furniture. Lack of mirrors. No counter space in bathroom. The double was really not suitable to accomodate 2 adults. The matrass was also not very comfy. we had children with us with sofa bed. However upon arrival, the sofabed was not made and after a call, we have received instructions for this "duty". we had one missing linnen and it was not really pleasant to have to worry about these kind of things on first day of trip. The location is good although slightly more towards the part where there is not much activities. It's a good 10 min walk to plaza nuova. The hostess was nice and provided some info on places to eat. These were not major issues for us but the feedback may be useful: At this time of year the floors are very cold to stand on in socks or bare feet, even with the heating on. A few rugs in the bedroom and in the Sitting area would make it more comfortable. The sink plugs were missing from the Bath and Basins in the en-suite and separate bathroom - so making washing and shaving more difficult. We found the double bed mattress and pillow uncomfortable, although that may be a matter of personal preference. The apartment is spacious, clean, has very good facilities, plenty of heating for these colder months, a lovely view of the Alhambra from the terrace and is in a great location for accessing all the places to see in Granada by foot. The Granadainside staff were very friendly and helpful, booking our Alhambra tickets for us when we had problems with the online booking system, holding our bags on the last day, making lost and found enquiries after one our phones went missing, and booking an airport taxi for us. Overall we really enjoyed our stay here. Fantastic view of the Alhambra. Very stylish and comfortable apartment with a great patio to relax on. There was no-one there for check-in on arrival, despite emailing previously and phoning twice. The apartment wasn't ready, so I had to wait over an hour, but this was compensated by a later check out. There was no water on the first night for a shower, but no problems the rest of my stay. The apartment was dark, the only outside window opening onto a tiny courtyard, but this was where people congregated to smoke, so unable to open it. The final bill was more than I had expected as there was an exchange rate mark up of 4.75%, which wasn't mentioned when I booked. The apartment was clean and comfortable, and is in a great location. Daniel, when he finally arrived, was very pleasant and gave some useful information. The kitchenette was more than adequate, with plenty of utensils, a large fridge, and dishwashing liquid and a tea towel, which is so often lacking. I really appreciated the later check out on my last day. Ground floor apartment was fairly dark with no real window outlook. We found lighting to be generally too dull for reading, etc. except under lamp. Bedroom a little musty at first but ok after introducing some fresh air. WiFi was fairly weak. Very good location, spacious, good kitchen with large fridge and good range of implements. Good shower ( in bath). No plugs in bath or basins?Pads missing off seats on terrace.